This is one of our most popular categories! You will find all of our full or partial collections as well as our groups of coins. Basically, almost anything that is not a single item will be listed here! 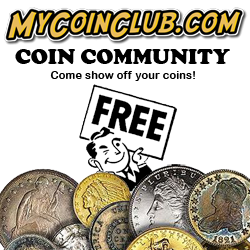 We sell many discounted groups of coins that we simply do not have the time to list all individually! Our "Coins Galore" is one of our most popular lots. You pick the total price: Coins range from Cents to Half Dollars, sometimes even Dollars! These are lower value coins that we do not have room to list and are sold in groups with heavy discounts on each coin! We have thousands of low priced coins in the $0.25 to $1.75 range that we simply do not have time to list and sell individually. In our Surprise Bag of Coins, we give you a MINIMUM of 20 different coins at a BIG discount. Most of the coins in this group are smaller denominations, such as Indian Cents, Lincoln Cents, Liberty Nickels, Buffalo Nickels, Mercury Dimes and Washington Quarters. Each coin is heavily discounted well below retail, and the bargain price is marked on each coin! This is very similar to our very popular Coins Galore lot, except all coins are $1.75 and lower. These surprise bags are great deals on lower value coins, and you never know what you will get! If you are looking for a super bargain on low value coins, or just want an inexpensive surprise group of coins to add to your order, you can't go wrong with our Surprise Bag of Coins! Our most popular special! We don't have room for thousands of lower priced coins. We package them in groups, give them large discounts and ship them out in this special. If you're a hoarder, dealer, sell at flea markets, or just like a great deal, this is for you! Every package is different and contains a different number of coins. YOU CHOOSE THE LOT SIZE BY PRICE!! Use the quantity feature to select the DOLLAR value of your lot. Each lot is sold in $1.00 increments, so if you would like a $25.00 lot of Coins Galore, simply select 25 of this lot! 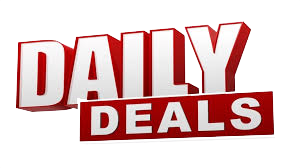 Each coin is individually priced and discounted, so you will see the bargain price on each and every coin! Our coins galore lots are sold by price, NOT by the number of coins. For instance, if you order a $50.00 lot, you will receive $50.00 in discounted coins, not necessarily 50 coins. Each coin typically ranges in price anywhere from one dollar to ten dollars, higher for large orders. Try a lot today for a wonderful surprise! Beautiful medium brown color with boldly struck detail and nearly mark free surfaces. There is a mint-made planchet flaw on the neck, along with a couple in the central field of the reverse. Nice eye appeal and rotated dies as a bonus! A full roll (50 coins) of scarce 1926-S Lincoln Cents in F-VF condition. The majority are problem free. About 15 or so have either been cleaned, are dark or have nicks. A very nice roll of this scarce date! Greysheet bid is $9.25 in F12 ($462 a roll) and $13.00 in VF ($650 a roll). A nice group of better date Lincoln Cents in VG-F condition. This date is notorious for being weakly struck, and some have a bit of a weak strike, but are mostly above average in strike. All are problem free and would sell for much more individually! Includes 1879 XF45, 1881-O XF45 lightly cleaned, 1899-O VG8 lightly cleaned, 1900-O G4, 1901-O G6 light hairlines and 1921-S XF40 harshly cleaned. Six silver Morgan Dollars for one low, discounted price! Includes 1885-O VF20 lightly cleaned w/small field scratch, 1890-O VF30 cleaned and 1921 AU50 lightly cleaned. All three silver Morgan Dollars for one low, discounted price! Includes 1884 XF45 lightly cleaned w/obverse rim nick, 1890-O VG10 and 1921 XF40. All three silver Morgan Dollars for one low, discounted price! Includes 1885-O XF40, 1890-O VG8 and 1921 VF30. All three silver Morgan Dollars for one low, discounted price! Includes 1885 F12 old cleaning, 1890-O VG8 cleaned and 1921-S AU50. Al three silver Morgan Dollars for one low, discounted price! Includes 1885 VF30 lightly cleaned, 1890 VG8 lightly cleaned and 1921-S XF40 with a lightly cleaned reverse. All three silver Morgan Dollars at one low, discounted price! Includes 1884 VF20 cleaned, 1890-S XF45+ cleaned and 1921 XF45. All three silver Morgan Dollars for one low, discounted price! Includes 1884-O VG8 w/ old cleaning and edge bruise, 1885 VF30 and 1921-S F12 w/two reverse spots. All three silver Morgan Dollars for one low, discounted price!